#GivingTuesday Matters to Mary PUPpins! GDRNT has had almost $8,000 in Emergency expenses between Trent and Mary PUPpins. To date we have raised a little over $1,000 to replenish our Emergency Fund. 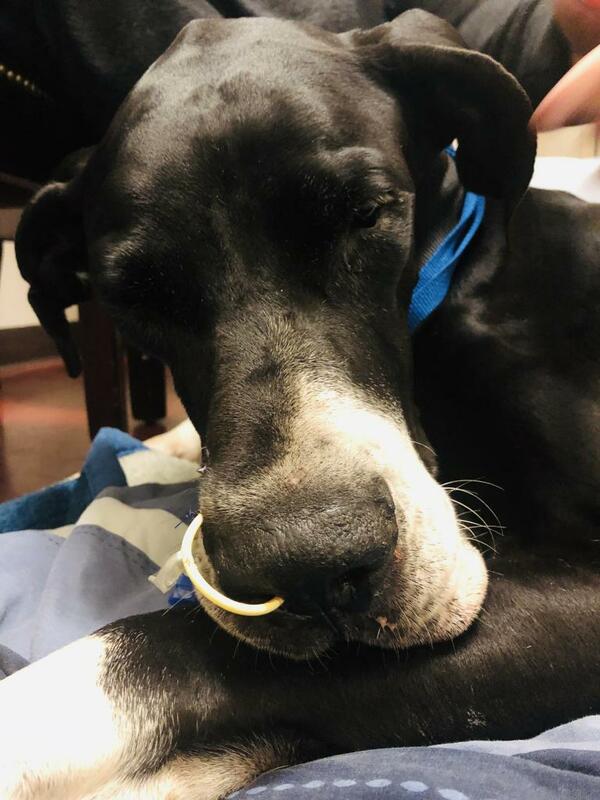 This is on top of our normal veterinary expenses that typically run $3,000 to $7,000 a month our emergency fund is to cover those weekend and late night Emergency Veterinary Bills. That is with generous discounts from our veterinary teams. Mary PUPpins doesn't need a spoonful of sugar for her medicine because she is recovering so very well! Mary came to us as medical emergency from a local shelter that knew rescue could get her the expensive care that she needed. Mary PUPpins needed a few day in the Emergency Veterinary Hopsital to get on the road to recovery. We are pleased to say Mary PUPpins is doing great but our Emergency Fund no so much. Read more about #GivingTuesday Matters to Mary PUPpins! 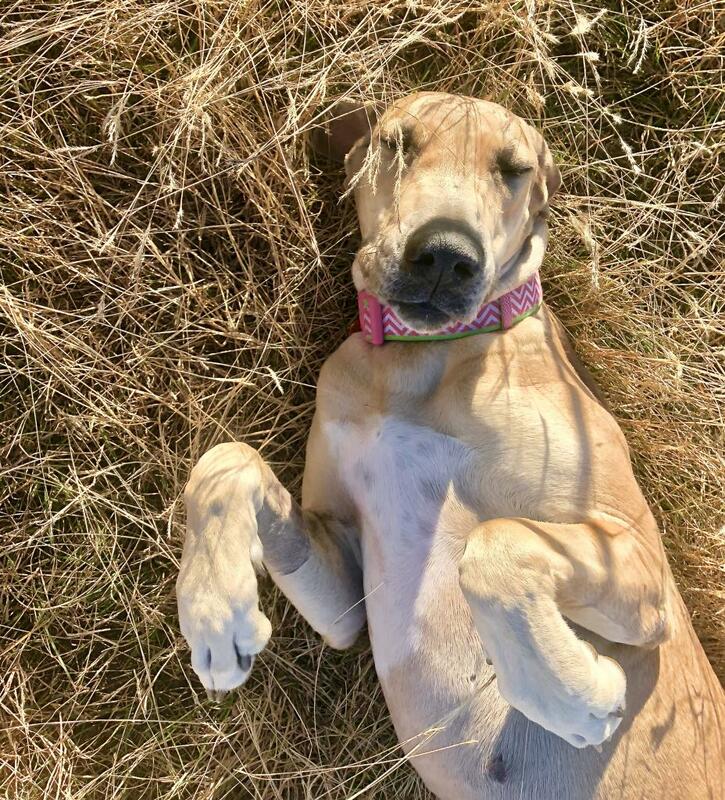 Great Dane Rescue of North Texas has a lot to be thankful for this year. Even in loosing Trent we have found great support from our friends, donors, fosters and volunteers. 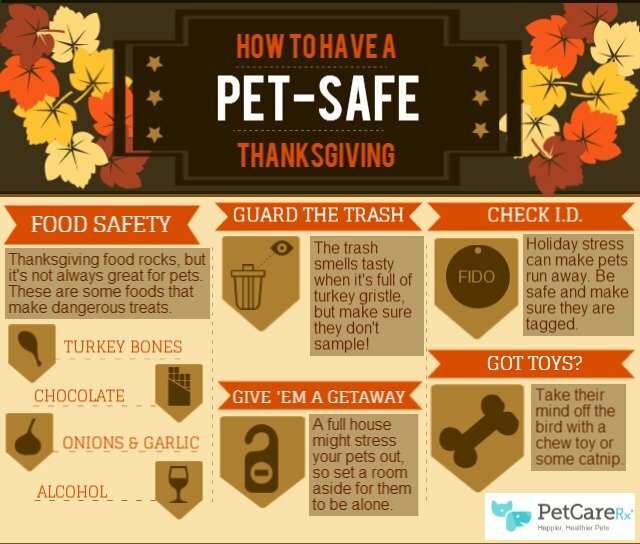 While we are grateful for all of you we want to use this as a reminder of some basic pet safety and planning for an emergency with your pet. Stop. Stop right now and look up the closest 24 hour and after hour veterinary clinic to your home. Not even kidding. In the panic you will be lucky to find your car keys. So find it and pre program the phone and address in your phone.... or just write it someplace you can find it fast. Once you are there.. do you have a way to pay for emergency services? Most ER/After hour clinics require payment up front. Have an emergency savings or credit card to cover emergency expenses. Better yet.. Help prevent trips to the ER by minimizing the most common ricks! 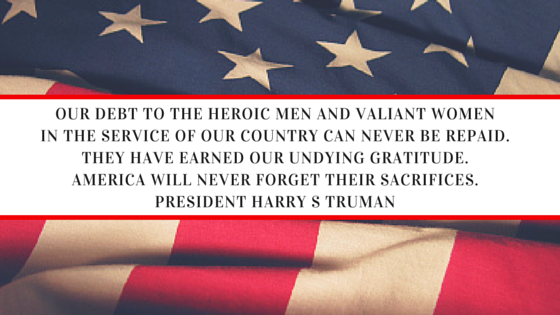 Read more about Never Forget. Exactly one week Trent stayed with GDRNT before he went running healthy at the bridge. It is a wrap and with outmatching funds we busted our goal with over $8,019 in individual donations and $3,500 in matching funds we totaled over $11,500! 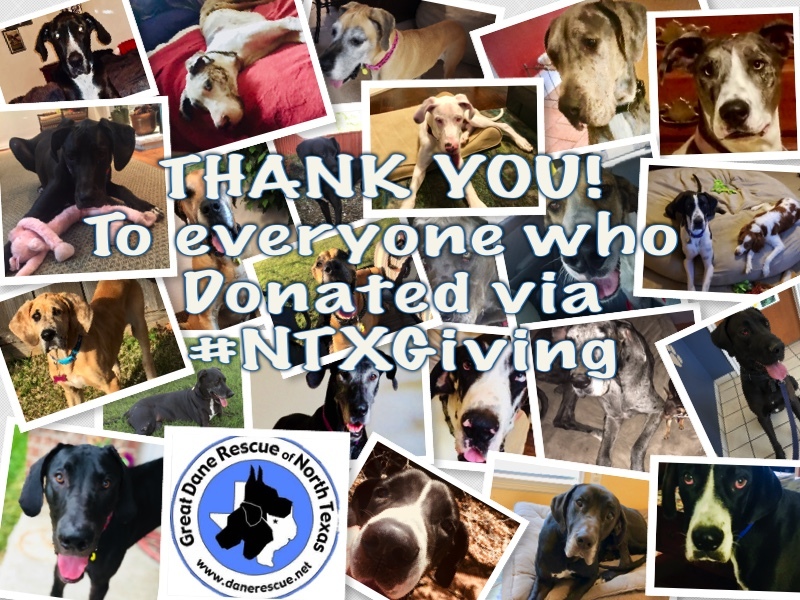 A huge thank you to everyone who donated to GDRNT and participated in #NTXGiving! Read more about THANK YOU! NTXGiving Donors! What Has Trinity so Excited? NTXGiving PUPdate! Read more about What Has Trinity so Excited? 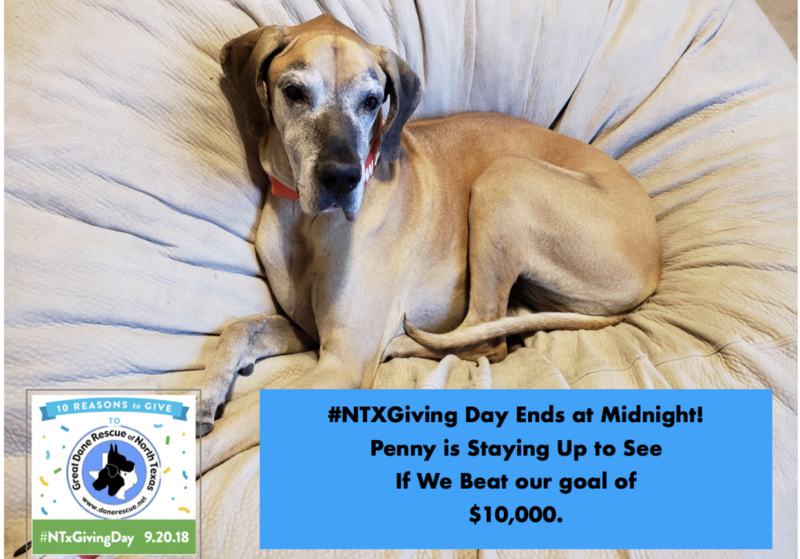 NTXGiving PUPdate! This one was difficult for me to write.. so hope I do it justice. 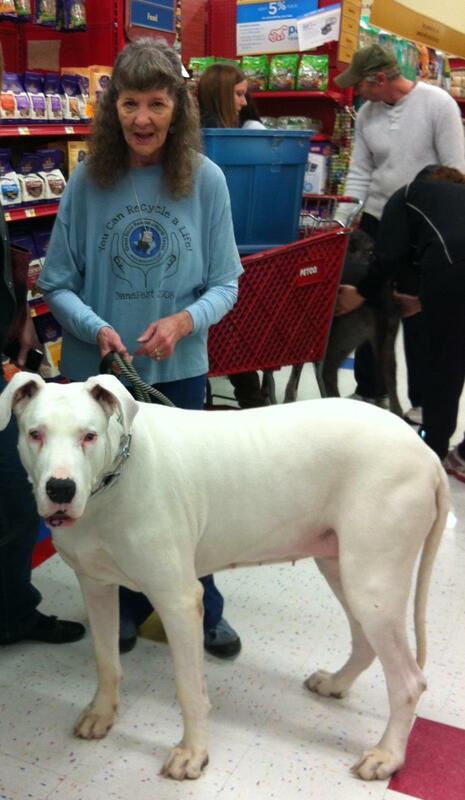 I do not remember when I first met Doris, she was just always fully present. A soft spoken strong woman/grandmother with great love for her family, friends, rescue and Pearl Jam. Her passing was not only personal loss for a lot of us but also a tremendous loss for GDRNT.